The Fountain Head Of The HOUSE Strain Of Treeing Walkers! HOUSE'S QUEEN was the fountain head of the Strain called HOUSE. 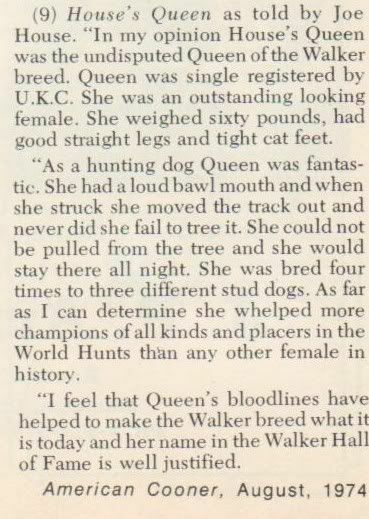 She was bred to 3 different stud dogs that produced great hounds out of each stud. In many of the great hounds of today you will find House's Queen running through their veins.